In December 2014-2015, We have helped more than 60 families of suicide committed farmers from Marathwada (Maharashtra) as part of 'MISSION SAVE FARMER', an initiative led by 'Kartavya Foundation' (Reg. no F11214 - Jalna, Maha-288/15) jointly with few other social groups and NGOs. We provided them immediate monetary assistance of Rs. 10,000 up to Rs. 20,000 and also adopted their kids for further education. 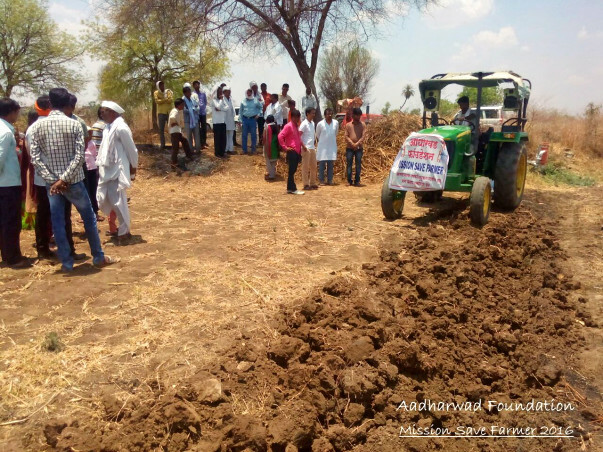 However to ensure Kartavya Foundation's primary focus stays only on education, in January 2016 we have established a separate NGO - 'Aadharwad Foundation' - especially to work for helping farmer families in need. 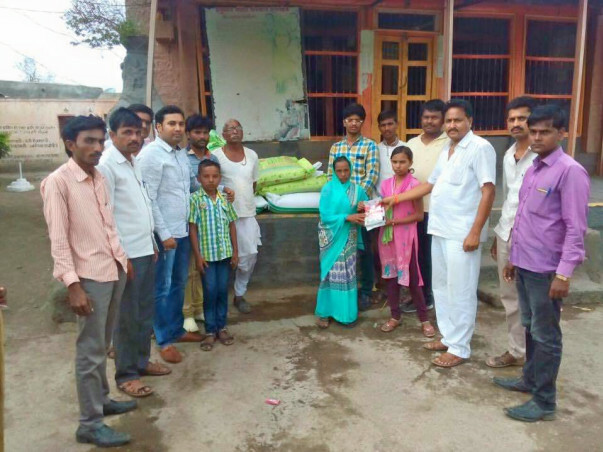 Since then the Aadharwad has been already helping farmer families in need. It has been registered under Societies Registration Act 1860 in Assistant Charity Commissioner Jalna office with Reg. No. Maharashtra 278/16. With this backdrop, the 'Aadharwad Foundation' is preparing for our next initiative for this year 2018, to help (up to 10 and exclusive of all previous beneficiary) deceased farmer's families. Our aim behind providing all these things well in advance at their hands is to release financial burden (of upcoming farming season) on their heads. The local Tehsildar of Partur and also District Collectors of Jalna have been always cooperating us by providing all the required authenticated information of farmer suicide cases. We are also trying to contact few well known specialists who can guide these farmers. The local State Government officers of 'Krushi Vibhag' in Partur will also assist us in executing this plan. Guys, if this upcoming farming season turns a productive one then they will earn and become strong enough to sustain through this though times. If it again turns in to a bad one, then we will bear all their financial loss. We request for your support and monetary contribution towards this noble initiative. Do not forget to write an email at team.aadharwad@gmail.com after your fund transfer and ensure that it has been acknowledged by us. The 'Mission Save Farmer' program planned for the year 2016 and 2017 has been successfully completed - so we are closing this fundraising campaign as well. Do visit our website http://aadharwadfoundation.org/missionsavefarmer.html for further statistic details of this program until today. Thank you, for your support to this noble cause. We would be initiating a similar program for this ongoing year 2018 - 2019 and will create a separate fundraiser for it. Will keep you posted. For 2018 we have already confirmed a farmer's family, who have committed suicide in December 2017. 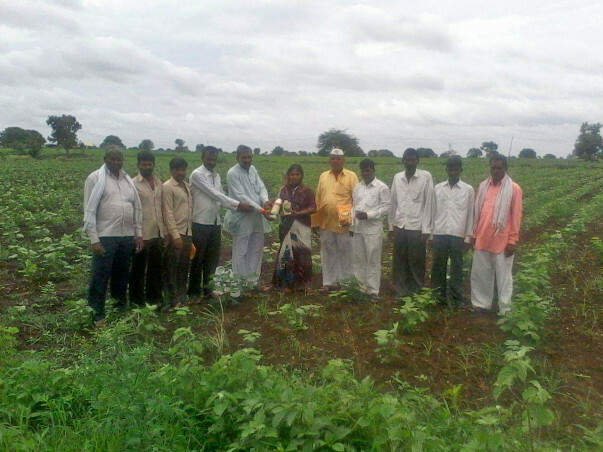 They will be provided complete help for his 6 acre - including furrowing, seeding, fertilizers, pesticides etc. Guys, Thank you for your support to Mission Save Farmer 2016. It was a pilot project and end results were very positive. Having that understood we have decided to continue with such projects every year. Scope and beneficiary count will be increased over the period of time, based on funding available with us. Help us so that we can help them!